Two weeks ago Copenhagen was celebrating while Jutlandic cities were dissapointed. EuroVisionary guide you through the reactions from the past two weeks upon the choice of Copenhagen as host city for the 2014 Eurovision Song Contest. Aside from representatives from the cities involved, key people with Eurovision experience also speaks out. "I am happy and proud that Copenhagen has been chosen. The B & W halls at Refshaleøen will be a new and innovative venue", such were the words from mayer in Copenhagen, Frank Jensen after it was announced that his city will be hosting the 2014 Eurovision Song Contest. Frank Jensen continues: "Copenhagen has what it takes. We have hotels, restaurants and culture offers in world class. And then of course we have the fantastic city life, which Copenhagen is so famous for out in the world". About the plans of making the entire area around the arena into a socalled Eurovision Island he adds that "the ambition is to make Eurovision in Copenhagen a public party both for the Copenhageners and the many visitors from the rest of Denmark and Europe". While the mayer in Copenhagen is happy, his colleague in Herning is quite dissapointed. The city’s mayer Lars Krarup says: "We went in it to win, otherwise we wouldn’t have done so. The past month we have however been able to tell from the meetings we have been at that it for DR was hard to get around Copenhagen – and as we are not placed in Copenhagen we had seen it coming". No one has been really been in doubt that venue wise Herning came with the strongest offer as Boxen is a fully made arena with 15.000 spectators and an acoustic made for events like this. The city however only had 20% of the required hotel capacity, which meant that not even all the delegations would be able to stay in the actual city. Herning had Århus in on its offer as a kind of second host city where most could be staying. With a travelling time of up to one and a half hour each way, it was however not an optimal solution. The mayer however doesn’t adress the hotel issue when he says that "We have all the time meant that we had the best product, which is why we stayed in the battle. I of course wish Copenhagen good luck and a congratulations to DR". Though Horsens did bid in on hosting the 2014 Eurovision Song Contest themselves, then they actually believed that Herning came with the best offer and Frank Panduro, director of Horsens & Friends was until the end convinced that Herning would win the battle: "Boxen reminds a lot of Malmö Arena, which hosted the 2013 contest and I thought that EBU would have wanted it exactly as they are use to. By chosing the B & W halls they surprised us". Frank Panduro doesn’t know if the idea with the prison simply was too wild, but he adds that they will continue working on building the glass roof over the prison yard so that it can host major TV events and be ready for Eurovision 2015 should Denmark win on homefield. The mayer in Horsens Peter Sørensen says in a press releases that he of course is a bit disapointed, but clearifies that he fully respect DR’s choice and wants to wish Copenhagen congratulations. He also adds that from the beginning he have said that EBU and DR should only chose Horsens if they wanted to entirely re-think the Eurovision Song Contest concept. To dr.dk he says that he however is pleased that B & W will offer some kind of re-thinking of the concept to not make it the same as other years. A big part of Herning’s bid was Denmark’s second largest city, Århus. As Herning didn’t have the required hotel capacity and a large enough day and night life to accomodate the Eurovision Song Contest it was the plan that most would be staying in Århus where some of the arrangements also would be placed. Shuttlebusses would transport people the aproximately 80 minutes long drive between the two cities. In Århus they are more furious than disapointed. Member of the city council responsable for Culture and city service, Marc Perera Christensen says in a press release: "This is Copenhagen snobbish in its worst kind. 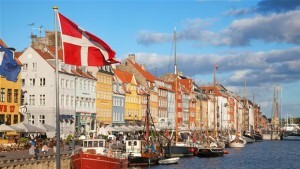 Danmark’s Radio, DR, let down the license payers in West Denmark and should immidiately change name to Copenhagen Radio. This is unambitious-use to thinking. Århus and Herning delivered the absolut best offer to host the Eurovision Song Contest with Denmark’s largest concert arena together with all the exciting culture, which has made Århus European Culture capital". Having hosted the Danish final 11 times and been Danish commentator a total of 24 times Jørgen de Mylius has quite some Eurovision experience. He is pleased with Copenhagen winning the bid: I was hoping it would be Copenhagen, because when you want to show Denmark off then it is best to show the capital. For the infrastructure and the number of hotelrooms it is also best to chose Copenhagen. I have been out as commentator so many times that I know what it means that everything is easy accessable in the city. Jørgen de Mylius however also knows that there is a disadvantage with Copenhagen: "The only minus is the metro building and all the road works. Maybe the politicians could hurry up the building of it as it is really a shame that Kongens Nytorv and Rådhuspladsen looks like big building places". At the press conference Monday mid day DR mentioned that the Eurovision Song Contest will integrate that Copenhagen has been chosen as Europe’s Green Capital in 2014 and make it a green and enviromental friendly Eurovision. That doesn’t quite suit Jørgen de Mylius: "The local politicans should make sure to light up the many beautiful buildings in Copenhagen instead of continuing the light saving crusade they are on now". Danish commentator Ole Tøpholm says about the choice of Copenhagen: "Copenhagen is the strongest brand for Denmark. With all respect to the other cities then they are not as Copenhagen already printed into the minds of the Europeans. It was therefore obvious that Copenhagen was a much better choice". Ole however opens up for that Jutland could host it next year for example: "If we win in 2014 then it is a possibility to place it in Herning. Then we have branded Copenhagen and there are room for experiments. But if it takes 15 years before we win again then Copenhagen will once again be the best choice". Emmelie de Forest (Denmark 2013) says: "It is really exiting that it will take place in the B & W halls. It is a very alternative location, which gives the oppertunity to think different. I can’t wait to see what DR gets out of it". Birthe Kjær (Denmark 1989) says: "This is so exiting and different, but I think it is good it is Copenhagen. We have had many good national finals in Jutland, but it is good that we can pull on Sweden as well in relation to hotels. For the big shows I think Copenhagen in all ways is the best choice". Søren Poppe (Denmark 2001) says: "It is fantastic! Copenhagen is the capital and maybe the city that has most to offer. And then it is a new way of thinking in terms of what has been done before. It gets its own little country in the country, which I think is well thought off". Lonnie Kjer (Denmark 1990): "That Eurovision will take place in Copenhagen next year is a fantastic idea. We don’t want Europe sent to Herning for a week – they need to see capital, where everything isn’t closed after 19:00 (7 PM)". For many parliament members with the cultural area as their responsability it came as a surprise that Copenhagen was chosen, just as much as they are disapointed. Michael Aastrup Jensen from Venstre says: "That came as a surprise. I thought Herning was the favourite and it surprises me a lot. I think they would have pulled off a just as nice show". Mette Bock from Liberal Alliance says: "As a politician I should stay out of this, but personally I am disapointed. I would have hoped that DR had found a location outside Copenhagen". Morten Marinus Jørgensen from Dansk Folkeparti says: "I think it is sad. It is no secret that Dansk Folkeparty would have liked to see it in Jutland and Herning was the obvious choice. It is suppose to be a big party for the entire Danish population and the previous two times Denmark hosted it, it was placed in Copenhagen. Maybe it is about time to get it out into the country?" Jørgen Arbo-Bæhr from Enhedslistens says: "I would rather much have such an event out into the country. Not the least because it can be a big problem for the traffic in Copenhagen. They need to make a good plan because it can easily go wrong with such an event on Refshaleøen when so many tourists comes and the metro building isn’t finished. We also know that a big party of the cultural events already takes place in Copenhagen so I think they could have made it a bit broader this time". Mogens Jensen from Socialdemokratiet says: "Horsens could have pulled off such a big event and then we would also create some attention on that part of the country and shown some of the nature, which Denmark has to offer, but which Copenhagen doesn’t have that much of. The descision has however been made and I think it is important that the entire Denmark welcomes Copenhagen as host city". The turist organisation Wonderful Copenhagen has also been out saying that they expect a financial turnover of 125 million dkk alone from the many tourists travelling to the capital for the event and a branding value up to a dazzling 1 billion dkk.